With all of the hype surrounding the BMW's M-badged X5 and X6, as well as the renewed Porsche Cayenne range, it's easy to forget that Mercedes-Benz has its own super-fast sport-ute, the ML63 AMG. As its name suggests, this top-rung ML is fitted with the same 6.2-liter naturally aspirated V8 that we've come to love in the rest of the automaker's AMG lineup, good for 503 horsepower and 465 pound-feet of torque in this application. 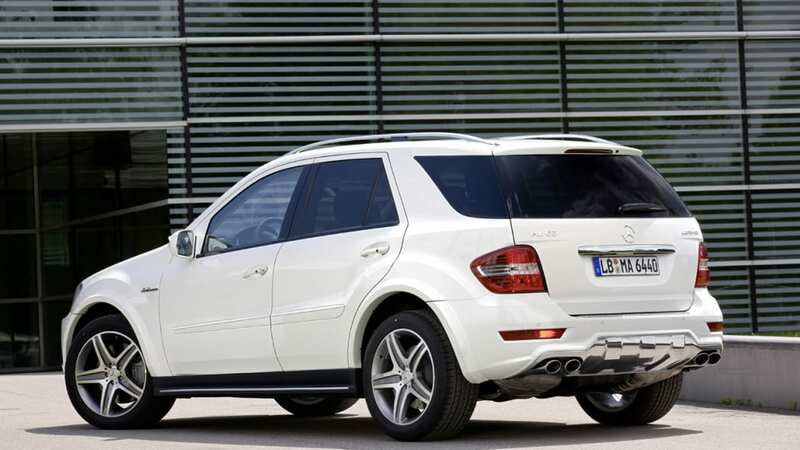 We expect to see an all-new AMG M-Class in the next couple of years, but for now, Mercedes-Benz has updated the ML63 with very subtle exterior tweaks, including darkened headlamps and taillamps, a refreshed hood and tweaked front and rear underguards (in chrome, of course). From there, not much else changes – the seven-speed AMG Speedshift transmission is still in place, routing all of that forward thrust to all four wheels, measuring 20 inches in diameter (21s can be had as an option). 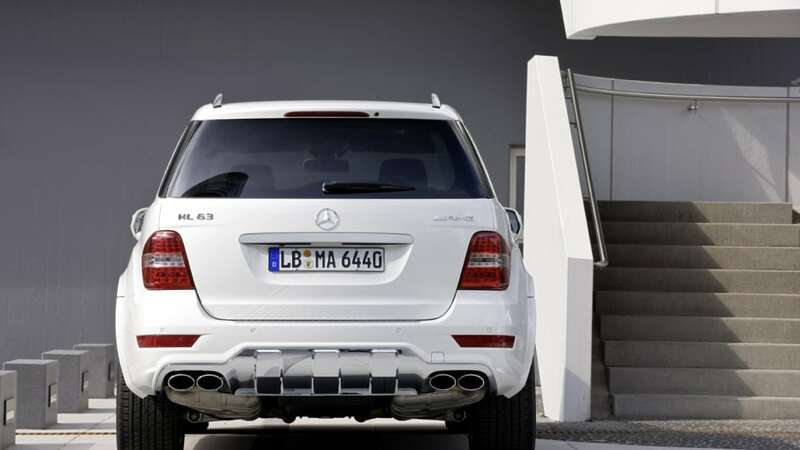 In the ML AMG's next generation, expect to see the automaker's brand new twin-turbo 5.5-liter V8 under the hood, good for around 544 horsepower and a pavement-churning 590 pound-feet of torque. High-powered SUVs and crossovers aren't the most practical of automotive choices these days, but we're happy to still see them moving forward. After all, sometimes you just need to get the kids to soccer practice in extremely short order. Affalterbach – A best-seller unveils its updated exterior: the ML 63 AMG, featuring a powerful 375 kW (510 hp) AMG 6.3-litre V8 engine, takes on a more attractive appearance thanks to some subtle but effective changes. From the front, the eye is immediately drawn to the new bonnet with power domes, and the darkened bi-xenon headlamps with active light function. 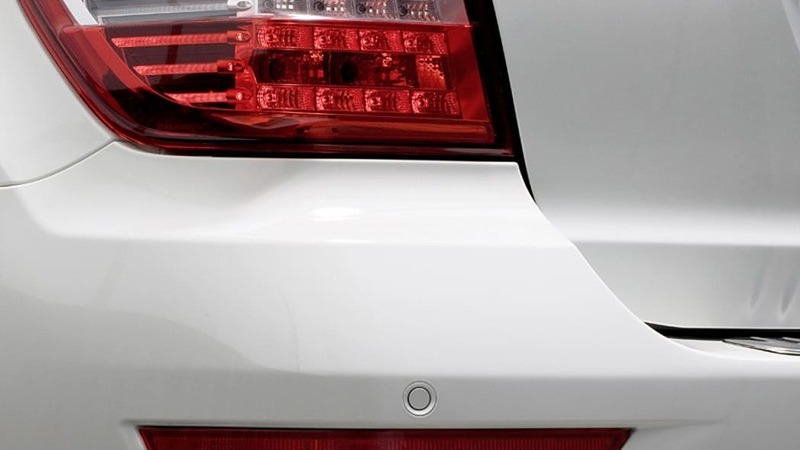 The rear, meanwhile, also contributes appropriately to the new look: the performance SUV now features darkened tail lamps incorporating a clear-lens design and LED technology. 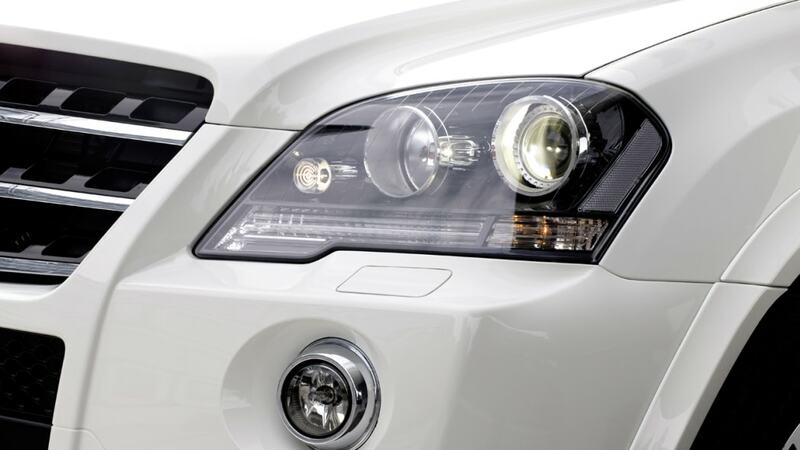 The subtle changes to the exterior coordinate perfectly with the high-gloss, chromed front and rear underguard, and afford the ML 63 AMG an even more powerful and distinctive appearance. 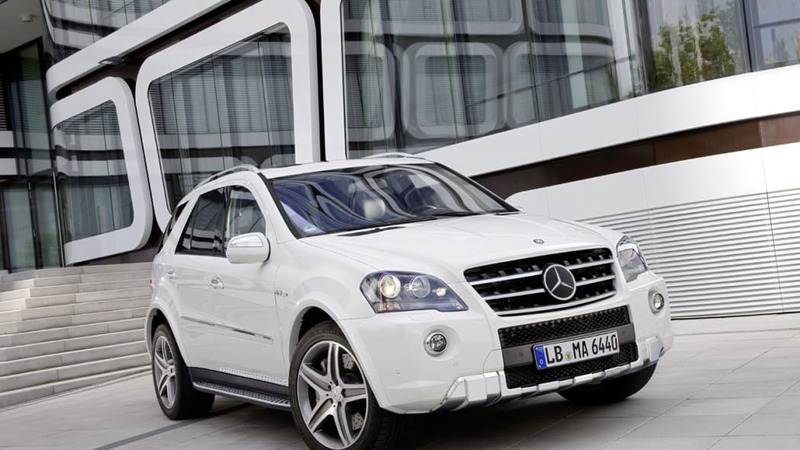 Still boasting a power output of 375 kW (510 hp) at 6800/rpm as well as 630 Nm of torque, the ML 63 AMG is capable of accelerating from 0 to 100 km/h in 5.0 seconds, and achieves a top speed of 250 km/h (electronically limited). At the renowned International Engine of the Year Awards in 2009, the AMG 6.3-litre V8 engine took the top places in both the "Best Performance Engine" and "Above 4 litres" categories. As before, power transfer is taken care of via the AMG SPEEDSHIFT 7G-TRONIC automatic transmission with three drive modes. The permanent all-wheel drive is decidedly sporty: the power is split asymmetrically 40:60 between the front and rear wheels to provide optimum agility. The AMG sports suspension, based on the AIRMATIC package with air suspension, adaptive damping system ADS and automatic level control all-round, provides dynamic performance combined with the hallmark Mercedes long-distance comfort. The generously dimensioned AMG high-performance braking system, which features internally ventilated and perforated brake discs all-round, ensures short braking distances and optimum resistance to fading. 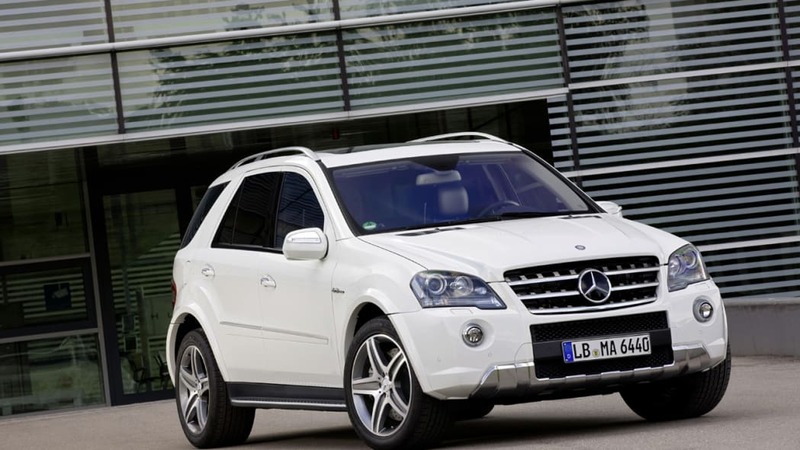 The ML 63 AMG comes with 5-spoke AMG light-alloy wheels, which are painted titanium grey with a high-sheen finish and fitted with 295/40 R 20 tyres on the front and rear. As an optional extra, titanium-grey-painted, high-sheen twin-spoke AMG light-alloy wheels fitted with 295/35 R 21 tyres are also available. As usual, the interior of the ML 63 AMG is both functional and high-quality: electrically adjustable AMG sports seats finished in nappa leather upholstery, with Alcantara inserts in the shoulder areas and multicontour function and heating, are complemented by the AMG sports steering wheel with AMG aluminium shift paddles and perforated leather on the specially-shaped grip area. A nappa leather-trimmed dashboard is also available as an optional extra. 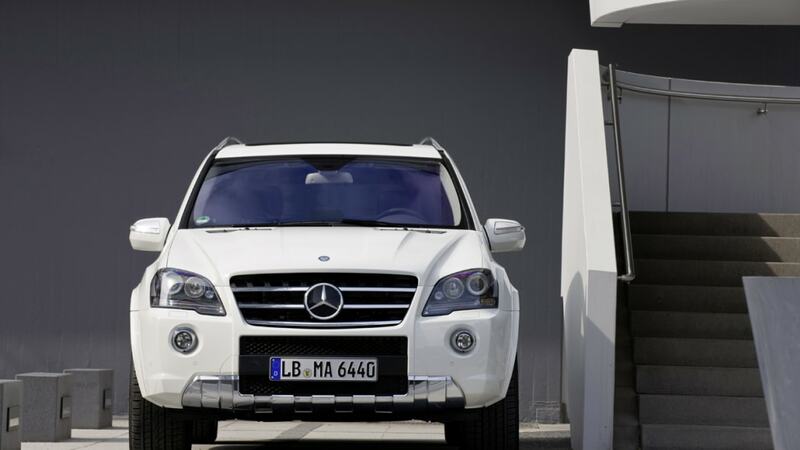 The updated ML 63 AMG is available to order with immediate effect and will be delivered to customers from July 2010. It carries a price tag of 105,077 euros (incl. 19% VAT).